After teaching too many overloaded, fatigued and burned-out IB students, the idea for this system was born out of a desire to alleviate stress by encouraging a consistent "little and often" revision strategy for the duration of the course. As only tiny minority took this advice, we developed a tool to support the desired process using sequences of automated questions at increased time intervals. Hundreds of studies in cognitive and educational psychology have demonstrated that if you try to revise something a given number of times in one sitting, it won't stick nearly as well as if practised the same number of times over several days or weeks. Research also shows that increasing the interval between repetitions as you become more confident of mastery ensures that learning becomes more firmly embedded into long-term memory. This system automates these principles of spaced repetition to encourage a consistent approach to independent study, better results and less stress in the run up to critical exam periods. Courses are broken down into sub-topic checklists of learning objectives. 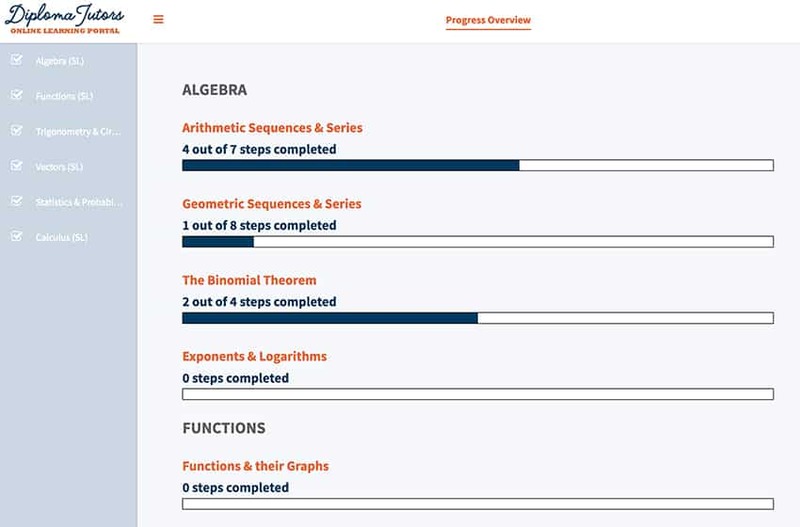 Each learning objective has a dedicated page from where students can follow links to view the range of approaches used on some of the world's most popular websites and YouTube channels (MyMaths.co.uk, Udacity.com, ixl.com, PatrickJMT, ExamSolutions and more). When an objective is "ticked-off" the learning checklist, it triggers a sequence of follow-up questions to be sent after 1, 7, 14 and 28 days (more interval variations will become available). Research shows the effectiveness of this spacing approach for long-term retention. The design of this sequence removes the temptation to peek at the answers (or get hints on the first step) while retaining the learning benefits of having a model solution to use in self-assessment after an honest attempt. Progress can easily be monitored from the homepage with a visual overview of all topic checklists (see snapshot below). Past-papers since 2014 have been broken down by question and sub-question, and each sub-question has been linked back to the relevant learning objective of the portal.